The PS4 is Sony Computer Entertainment's last chance to prove that its entertainment sector can be profitable. Despite the appearance of widespread success (particularly in Japan) the PS3 and PS Vita have not met the profit margins that Sony was expecting. 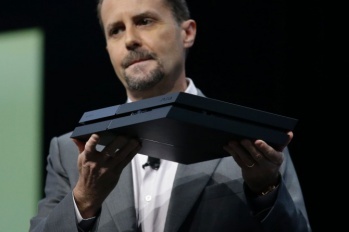 Sony Computer Entertainment president Andrew House addresses the concerns that the PS4 will tread the same path, telling popular Japanese magazine Diamond Online that "Sony Computer Entertainment isn't allowed to fail anymore with PS4." House firmly believes the PS4 can't "fail" like the PS3 did, because "the game business for Sony is a 'Core' [business] that embodies a fusion of both hardware and software." This announcement comes after an earlier suggestion from a majority Sony shareholder that the electronics and insurance giant sell off a majority of its entertainment business in favor of more profitable endeavors. The suggestion was shot down by the board of directors, meaning all eyes are firmly fixed on House to see if he can walk-the-walk with the PS4. This certainly explains the much more cautious approach Sony is taking with the PS4, choosing to let competitor Microsoft make all the sweeping, controversial changes, while quietly giving its fans a much more moderate console at a lower price point. We'll have to wait and see if it pays off for House, but early pre-order numbers are certainly looking promising.